Considerable cloudiness. Occasional rain showers after midnight. Thunder possible. 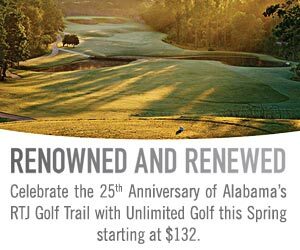 Low near 55F. Winds light and variable. Chance of rain 50%. 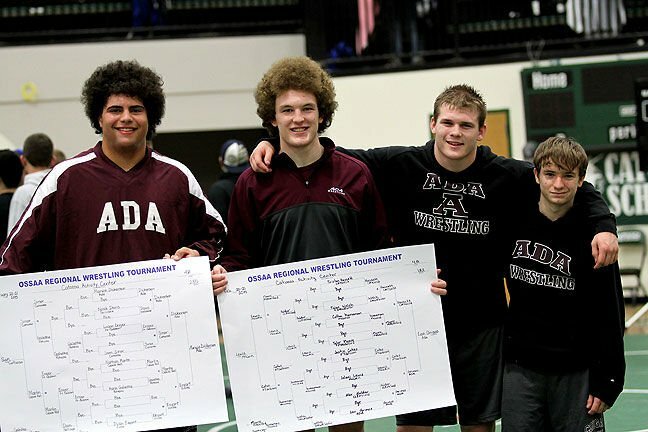 Ada wrestlers Marwin Dickerson, Levi Grimes, Colton Lancaster and Carter Patterson qualified for the Class 4A State Tournament. Dickerson and Grimes won championship matches, while Lancaster finished third and Patterson settled for fourth at a Class 4A Regional Tournament in Catoosa last weekend. Sulphur freshman Dan Baker recorded this last-second takedown to defeat Chandler's Darian Mixton in a 170-pound Class 3A Regional championship match in Marlow. Joining Baker as state qualifiers for Sulphur were Steven Baker and Hagan Garcia. CATOOSA — The Ada High School wrestling crowned two champions – Marwin Dickerson at heavyweight and Levi Grimes at 182 pounds — and two others qualified for the state tournament in the Class 4A East Regional Saturday at Catoosa High School. The Cougars finished fifth in the team standings as host Catoosa won the regional title, followed by Vinita, Cascia Hall and Ft. Gibson. Dickerson and Grimes each won their championship matches by 3-2 decisions. Dickerson edged Vinita’s Dylan Enyart and Grimes topped Catoosa’s Tristan Hassett. Dickerson, who was a perfect 3-0 in the regional, ran his record to a sparkling 33-2. Grimes, who also went 3-0, upped his season record to 32-5. Also earning a berth at state were Colton Lancaster at 195 pounds and Carter Patterson at 106. Lancaster battled back through the consolation bracket to claim third place and Patterson did the same before settling for fourth place. Lancaster, who reached the semifinals on Friday before suffering his first loss of the regional, successfully wrestled twice on Saturday, recording two big falls. Lancaster pinned Sallisaw’s Jacob Bateman in 4:55 and then won by a fall over Ft. Gibson’s Sammy Sanchez in 4:49 in the third-place match to go to 4-1 in the tournament and improve to 31-7 on the season. “Colton wrestled a tough senior and battled back to win. He wrestled a good match and got some momentum late and got the pin,” Bohannon said. Dickerson, Grimes and Lancaster are all returning state qualifiers. Patterson earned his first trip to state after going 2-2 in the tournament. After dropping his opener on Friday, Patterson wrestled three times on Saturday, getting to the third-place match. Patterson won by a 3-2 decision over Mannford’s Kanyen Guffey in his first match on Saturday. Patterson then won another close 4-3 decision over Poteau’s Bryson Terry to reach the third-place match. However, Cleveland’s Zach Myles picked up a 12-1 major decision over Patterson for third place. Patterson was forced to settle for fourth which was good enough for a state tournament berth. Patterson went to 13-10 on the season after going 2-2 in the regional. The state tournament begins at 10:30 a.m. Friday at the State Fair Arena in Oklahoma City and wraps up on Saturday. MARLOW — Sulphur High School crowned one regional champion — freshman Dan Baker at 170 pounds — and had two more qualify for state as the Bulldogs finished in a sixth-place tie in the team standings at the Class 3A West Regional at Marlow High School Saturday. Dan Baker, trailing by one point, scored a takedown with three seconds to go in earning the 3-2 win over Chandler’s Darian Mixon in the regional championship match. Dan Baker has a 21-0 record so far this season. Dan’s older brother, senior Steven Baker, placed second at 160 pounds after being pinned by Chandler’s Heath Gray in 4:43 in the regional finals. Steven Baker takes a 33-3 record into the state tournament. At heavyweight, Sulphur’s Hagan Garcia placed fourth in the regional after being pinned by Cordell’s Britton Beasley in the consolation championship match in 1:46.